For your information Wiesemann & Theis makes various offprints available which we will be happy to send you. You can also download the contents of these offprints here as a PDF file. 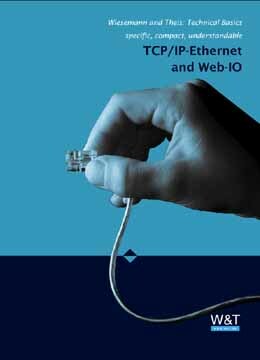 The seventh edition explains the basics of network technology, all the key protocols from Ethernet to TCP/IP - but also newer technologies such as VPN. I would like to receive current information about W&T products via e-mail. Your data are used only for processing your order. Before submitting your order you also can choose whether to receive the free W&T Newsletter in the future, which offers interesting information and new product announcements pertaining to the W&T product range.